This document explains how to disable Autorestart, a feature whereby Windows XP, Vista, and Windows 7/8/10 automatically restart the computer following severe system crashes. When an XP, Vista, and Windows 7/8/10 system is set to automatically reboot upon system failure, it will restart so quickly that the diagnostic Blue screen will scarcely be perceptible, much less readable. In these cases, sometimes it is useful to disable this feature, so that if the problem reoccurs more troubleshooting information is available to the user. For information on Blue Screens and how to troubleshoot them, see Windows - Troubleshooting Blue Screen Errors. Right-Click on "My Computer", and click "Properties" from the context menu that appears. Click on "Settings" under "Startup and Recovery" (see screenshot). Uncheck the box labeled "Automatic Restart". 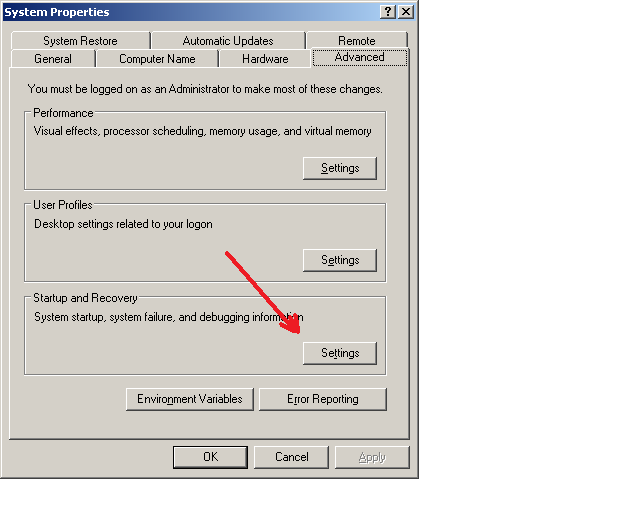 There are two ways to disable Auto-restart in Vista. This method can be used even when the computer is not bootable; simply restart the machine and tap F8 repeatedly right after the manufacturer's startup screen appears, exactly as if you were booting into Safe Mode. If done properly, you will see the "Advanced Boot Options" menu. Select "Disable Automatic Restart on System Failure" and hit enter. The computer will attempt to boot with Auto-Restart disabled. The second means of disabling Auto-Restart is very similar to the procedure for XP, and thus only works if the system boots. 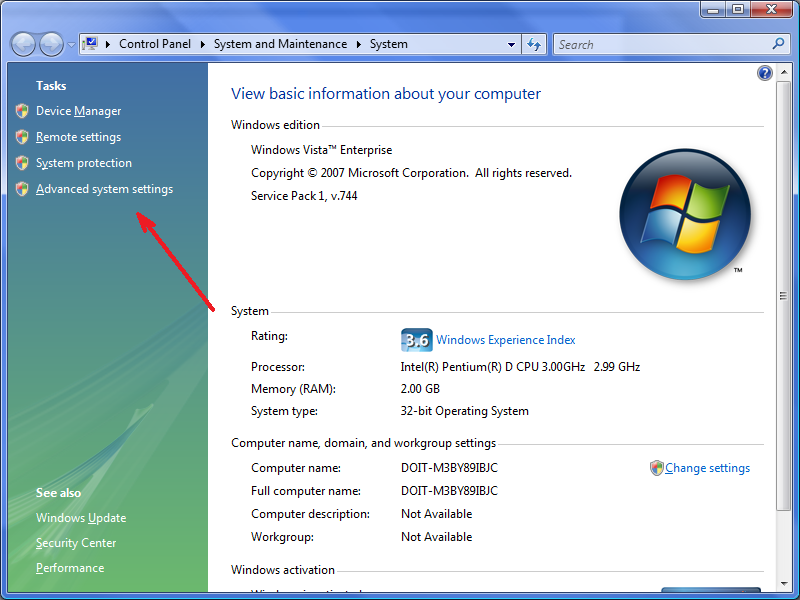 In Windows Vista and Windows 7, right-click on "My Computer", and click "Properties" from the context menu that appears. In newer versions of Windows, right click on the Start button in the bottom left corner of the screen and choose "System" from the options that appear. Click "Advanced System Settings" in the "Tasks" sidebar (screenshot). Click on "Settings" under "Startup and Recovery". Lastly, note that even when the system automatically reboots, a technician with the right tools can still gather the blue screen information ex post facto.